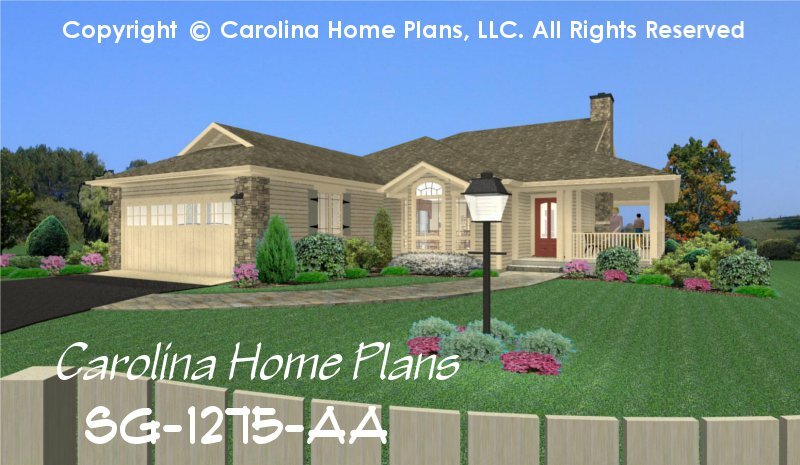 Enjoy summer living at its best with this 2 bdrm, 1 bath small home plan featuring a delightful wrap-around porch and vaulted screened porch. 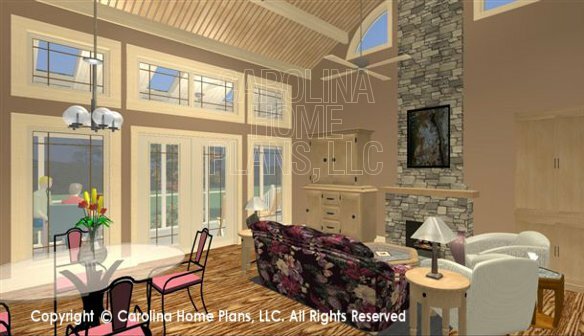 An open floor plan, cathedral ceiling Great Room and floor to ceiling fireplace add a feeling of spaciousness and drama to this efficient and compact small house plan. 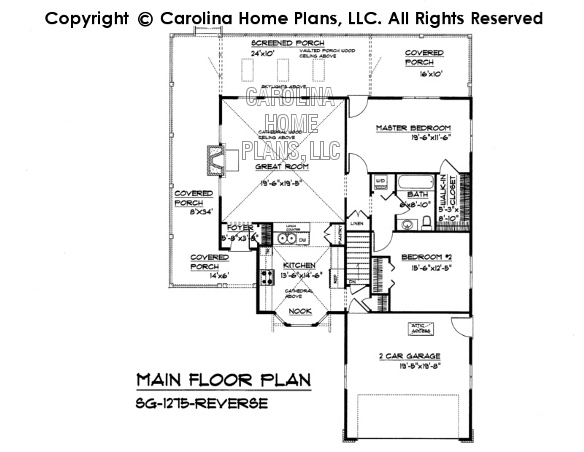 The large kitchen offers both a lunch counter and a cozy breakfast nook with easy access to a 2-car garage. Lots of large windows offer natural light as well as cross ventilation. Plenty of extra storage is available in the attic and full basement. 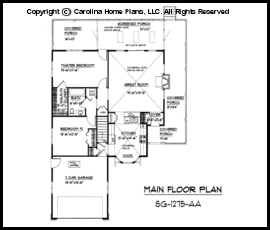 With today's economical constraints demanding smaller homes this innovative affordable small house plan offers lasting value and livability larger than its actual size. 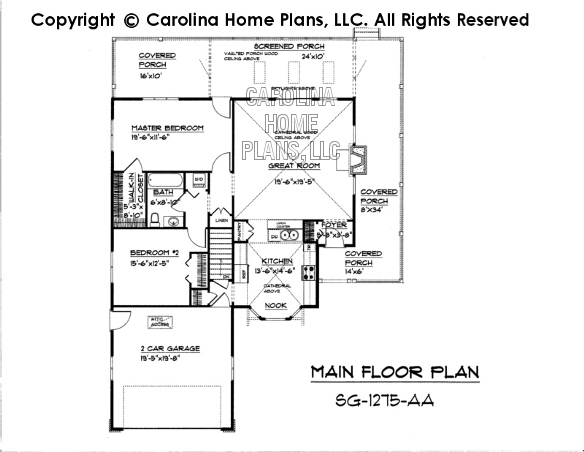 Utilizing practical construction methods, the footprint is based on standard dimensional lumber sizes, making this economical small home plan easier and cheaper to build. The combination of timeless appeal and low construction cost make this affordable small house plan ideal for a starter home, down-sizing or single occupants. Available options and pricing: See below.